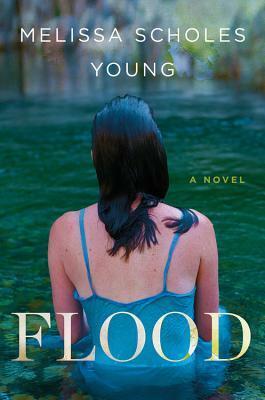 A sparkling debut set in Mark Twain's boyhood town, FLOOD is a story of what it means to be lost…and found. Laura Brooks fled her hometown of Hannibal, Missouri, ten years ago after a historic flood and personal heartbreak. Now she’s returned unannounced, and her family and friends don't know what to make of it. She says she's just home for a brief visit and her high-school reunion, but she's carrying too much luggage for that: literal and metaphorical. Soon Laura is embroiled in small-town affairs—the contentious divorce of her rowdy best friend, Rose; the campaign of her twelve-year-old godson, Bobby, to become the town's official Tom Sawyer; and the renewed interest of the man Laura once thought she'd marry, Sammy McGuire. This book is just depressing. Its characters are all, with the sole exception of twelve-year-old Bobby, unpleasant and immoral people who have gotten themselves into crummy situations. Laura's best friend Rose is the most grating, but Rose's ex is pure awful (read: he tries to sleep with Laura! ), Laura's mother is unhelpful and emotionally distant, her brother is a druggy, her "dream man" and ex Sammy is divorcing his wife because she doesn't want kids (or, possibly, she's divorcing him because she caught him messing with her birth control! ), and the list goes on and on. Laura herself is just as bad as anyone. She likes to pity herself a lot, but she's made her fair share of bad choices. She's slept around a lot, and she's still coping with a miscarriage she had after a series of flings. She is a big-time enabler, helping Rose even when she is going nuts and assuaging her guilt by taking Bobby away on outings whenever she can. She also lends her brother money to buy land for a house, and we all knew how that was going to turn out. I liked the idea of a book set on the island where Mark Twain grew up, and the attempts at examining racism were well-meant, but I just found Flood so frustrating and depressing (and expletive-filled) that I couldn't find much more to enjoy. I don't recommend it to anyone.